Its not everyday that Oakley bends over backwards to create a special edition of glasses (3D or otherwise) for a movie. 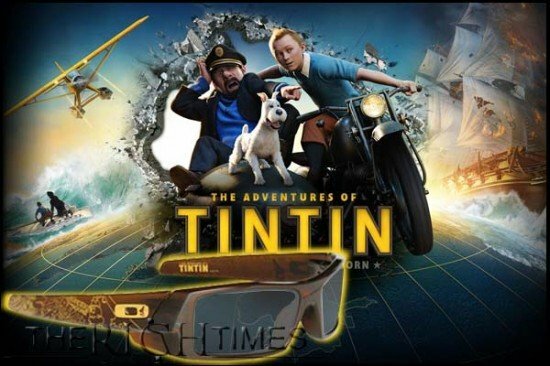 However they decided to do so for the Steven Spielberg directed the Adventures of Tintin . The glasses – Oakley 3D Gascan are supposedly the most innovative 3D glasses on the planet. Engineered with a lens shape that minimizes reflections and glare, they are the first 3D glasses ever made with high-wrap lens curvature for a wide field of view, and the optics offer truer perception of the colors intended by the film director for every shot. Comfort is optimized with lightweight O Matter frame material and a precise Three-Point Fit. 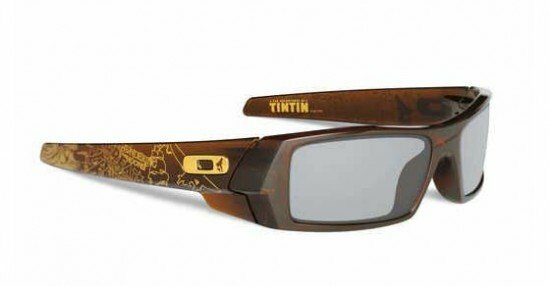 The Oakley 3D Gascan TINTIN Limited Edition features art inspired by the movie. Rich graphics on the earstems of the Polished Rootbeer colored frame salute the thrilling saga of “The Adventures of TINTIN.” A custom Microclear bag is included for frame storage and lens cleaning, and the bag carries film-inspired graphics. Just 4000 units of the limited edition 3D glasses will be available worldwide.